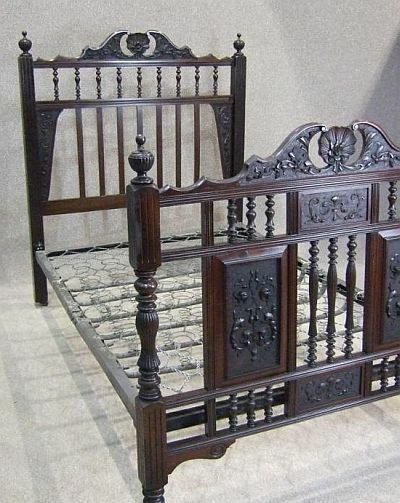 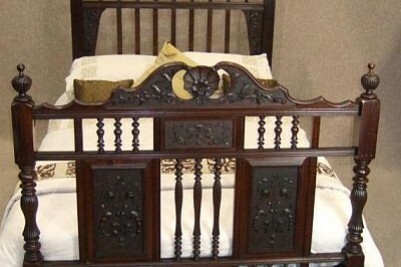 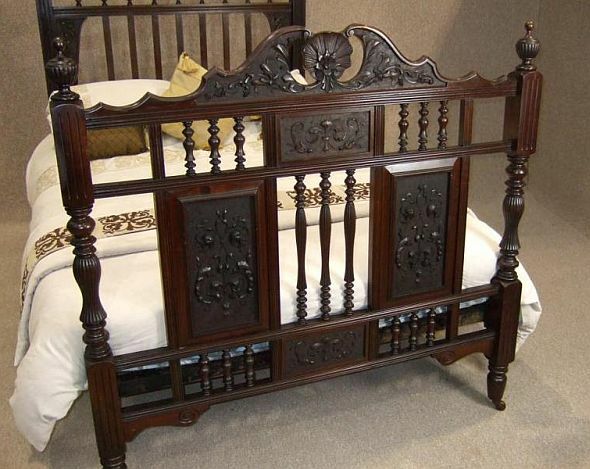 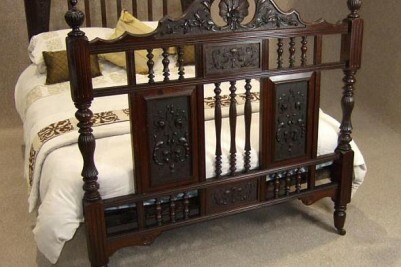 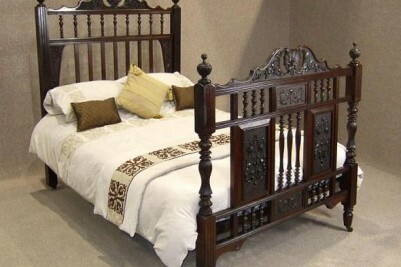 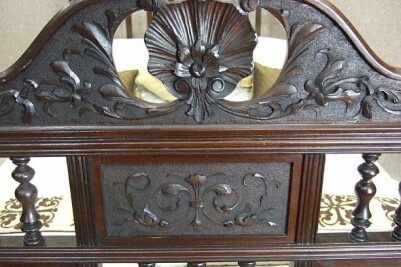 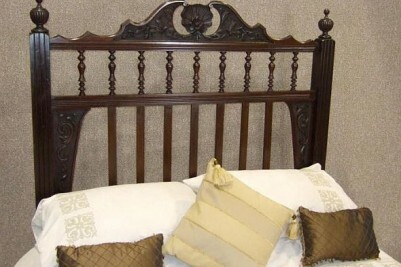 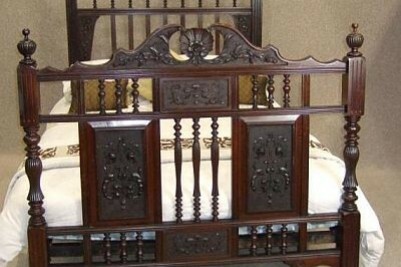 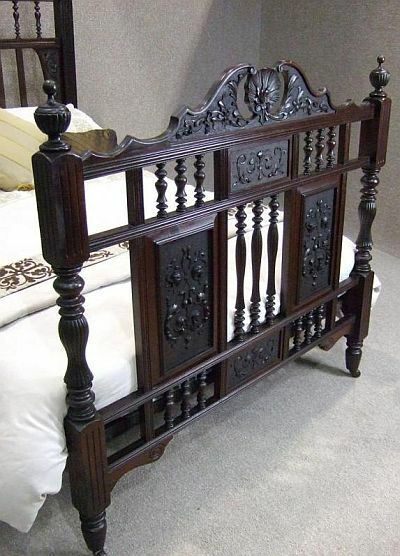 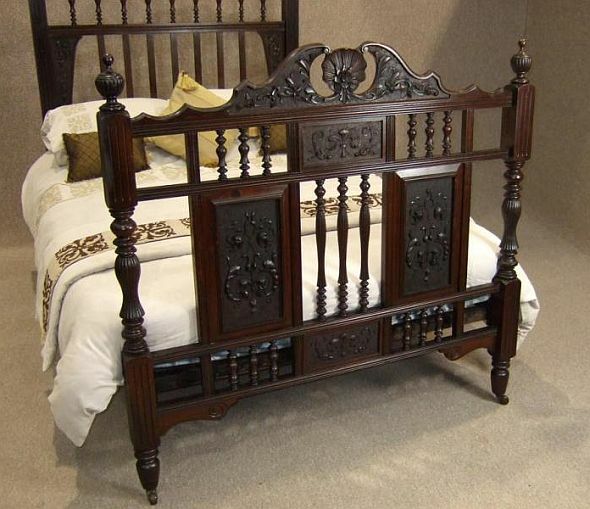 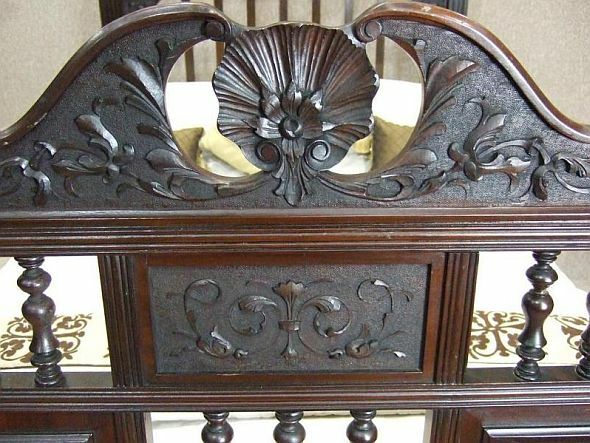 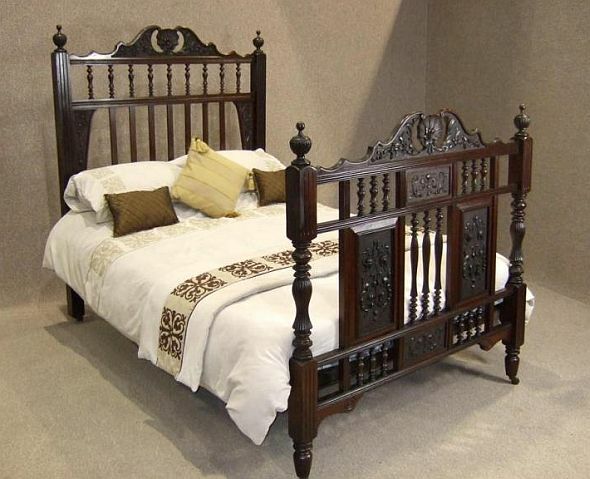 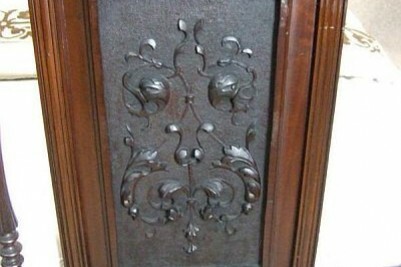 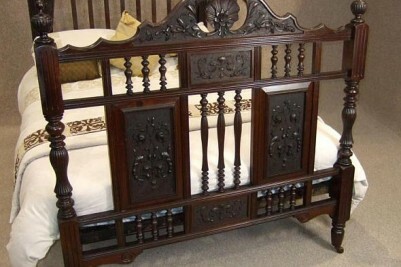 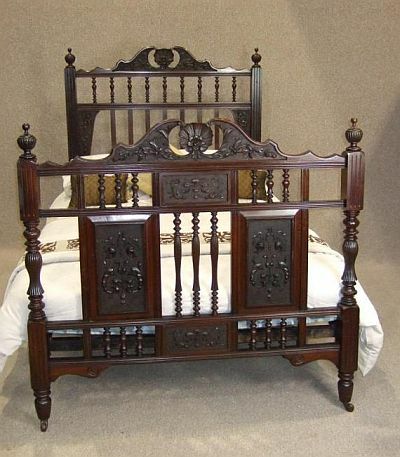 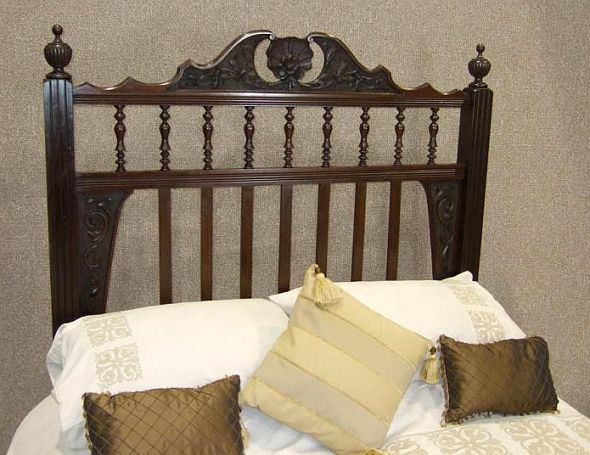 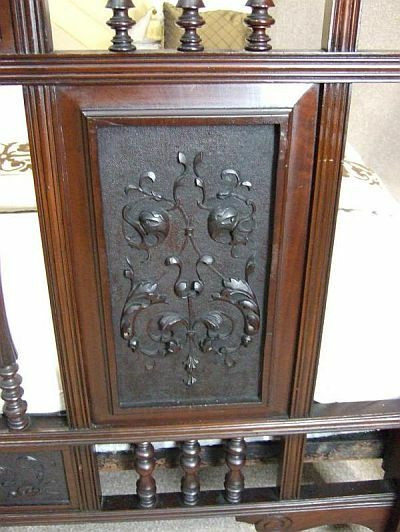 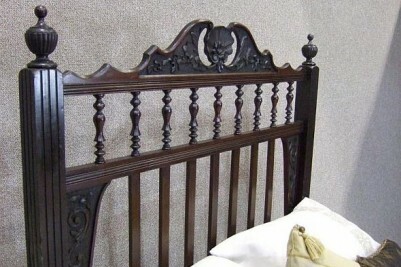 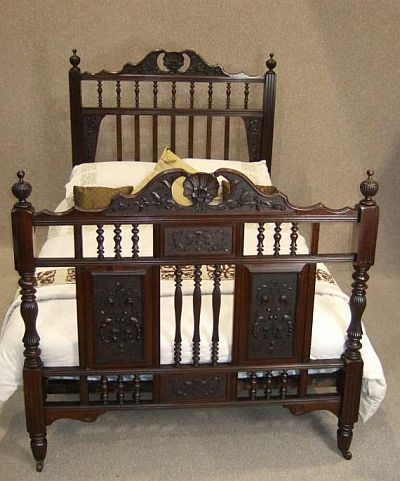 A magnificent, beautifully carved Victorian walnut double bed. 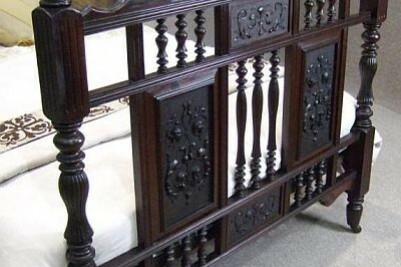 With a shell motif to its headboard and footboard, and numerous turned and reeded columns, this really is a magnificent piece for any period bedroom, and is a real focal point. 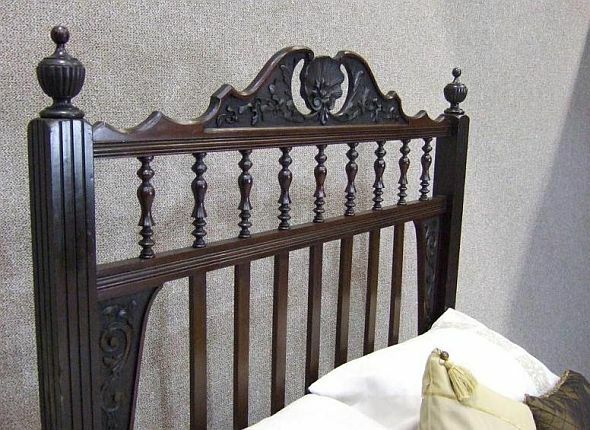 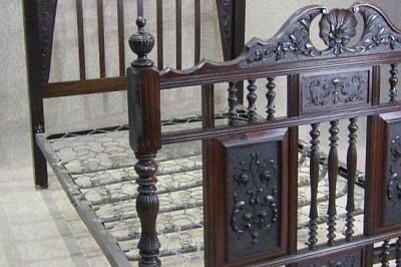 This bed is in lovely condition for its age, and still stands upon its original brass and porcelain castors. 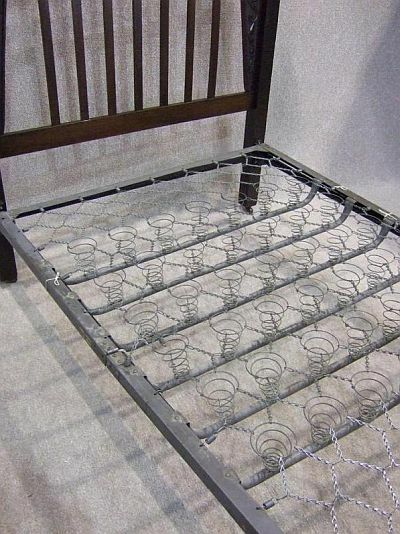 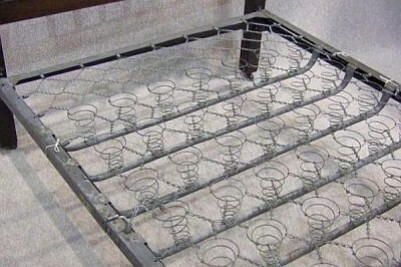 This bed is supplied with a traditional folding sprung bed base, so all that is required, is a standard double mattress.